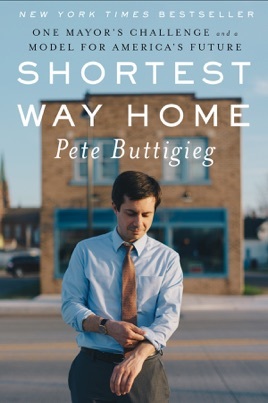 Buttigieg, mayor and native of South Bend, Ind., manifests a decent, positive, and reflective presence in this upbeat and readable memoir, which follows a career path that recently landed him on the short list for chair of the Democratic National Committee at the age of 36. In seven sections, the narrative retraces his life so far: after Catholic school, Buttigieg attended Harvard, where the Institute of Politics afforded him the chance to observe some leaders and public servants up close, and was awarded a Rhodes Scholarship to Oxford. These academic credentials led to a job with McKinsey & Company after a stint campaigning for John Kerry in 2004, during which he cultivated a taste for public office and enlisted in the Navy Reserves. Three years into his first mayoral term, he was called up for a seven-month deployment in Afghanistan in 2013, which spurred new insights on being of service and on foreign relations. After his service, he came out to his parents and then the city (via a newspaper editorial) and met and married his husband, Chasten, about whose family he writes warmly. In the final section, he discusses how "obvious" it seems to him that "economic fairness and racial inclusion could resonate very well in the industrial Midwest." Buttigieg's memoir is an appealing introduction of its author to a larger potential constituency. We need this man as a leader.